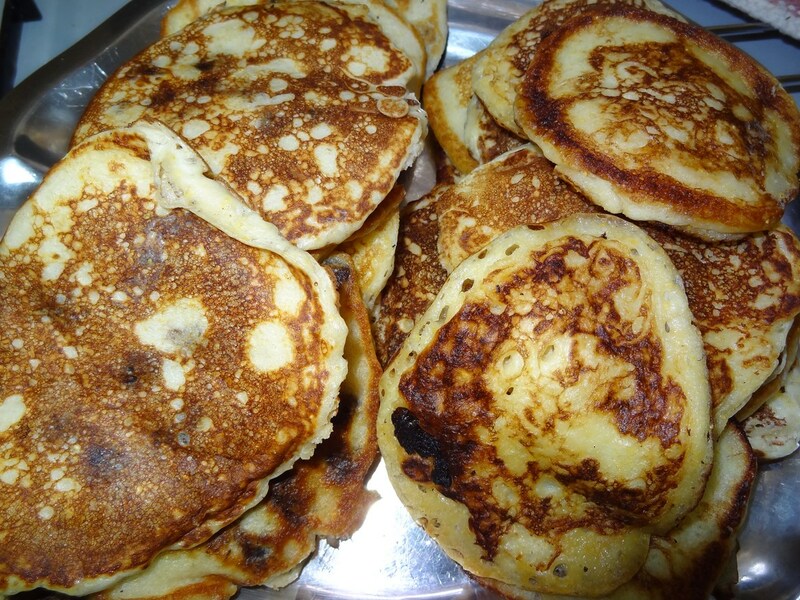 This is definitely our families favorite pancakes. 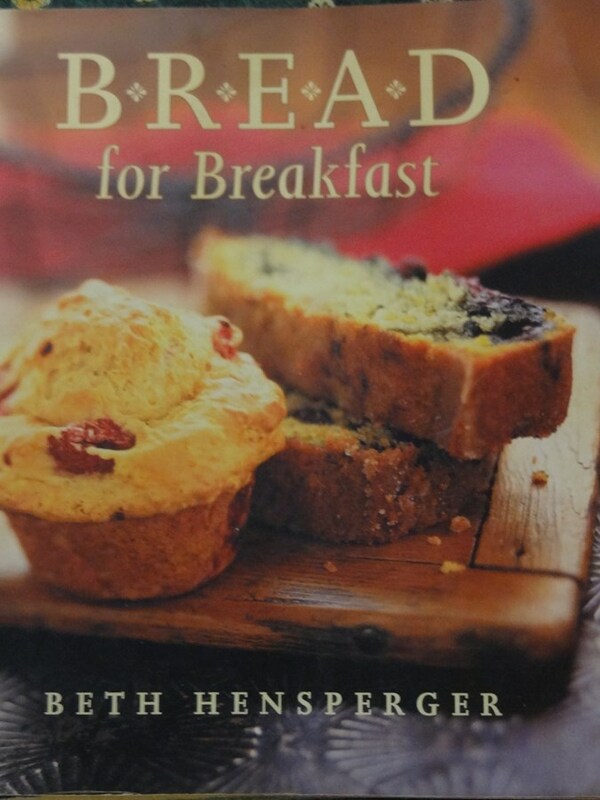 this recipe comes from this book that was left in Niger. 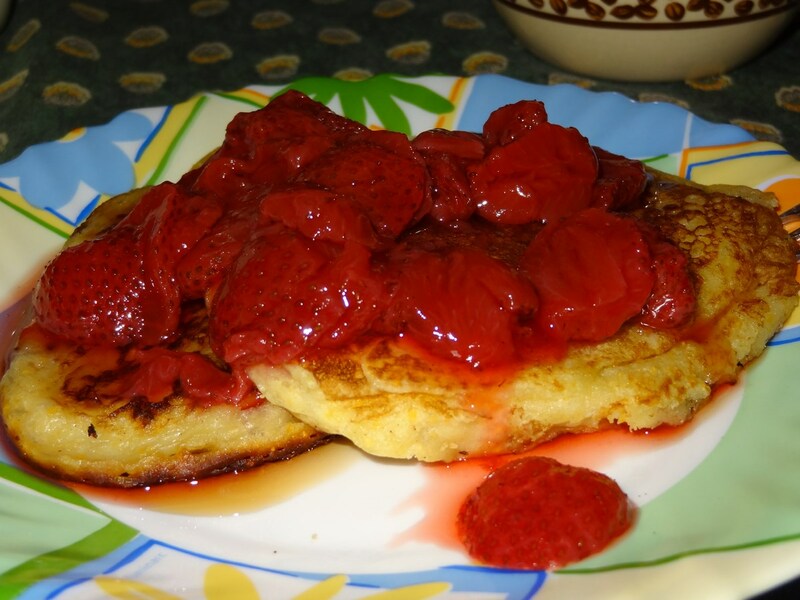 When I found it again and made these pancakes everyone just loved it. They have a wonderful taste and they are light texture. The girls love when I also add chocolate chips. I make some without and than I add some chocolate chips in the batter. 1. 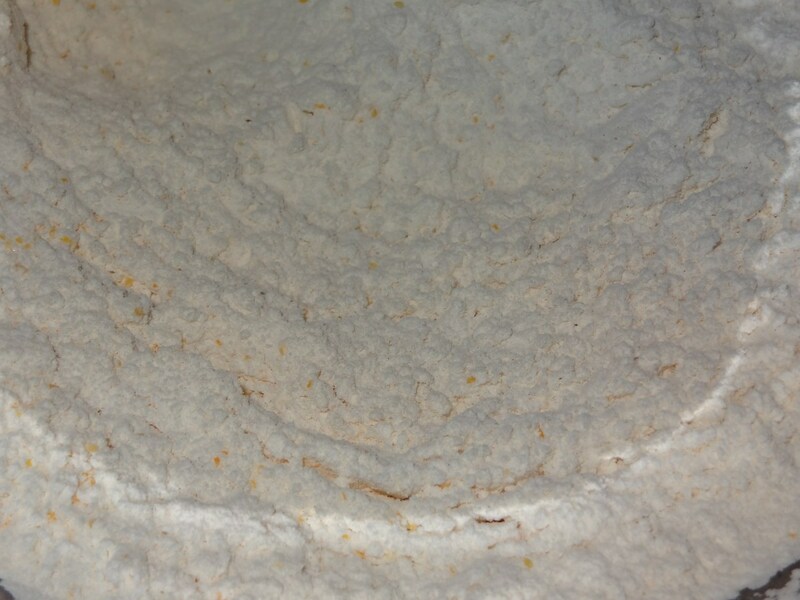 Combine flour, cornmeal, baking powder, baking soda and salt in a mixing bowl. 2. In another bowl, beat eggs until light and fluffy about 1 minute and whisk in the buttermilk. 3. 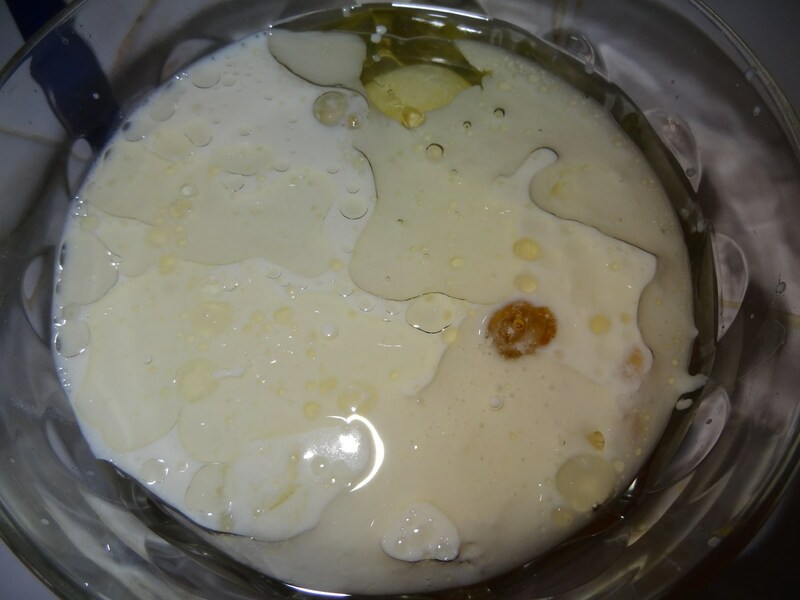 Make a well in the center of the dry ingredients and pour the buttermilk mixture and the oil into the center. Stir until just combined. 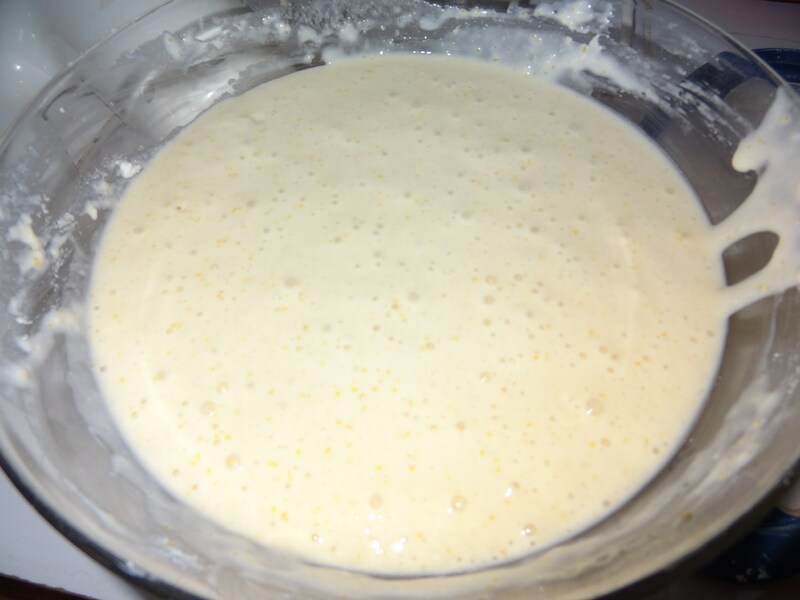 The batter will have small lumps. If you want to add chocolate chips, blueberries or nuts, add in batter. I often make half of the batter plain and than add the chocolate chips. 4. 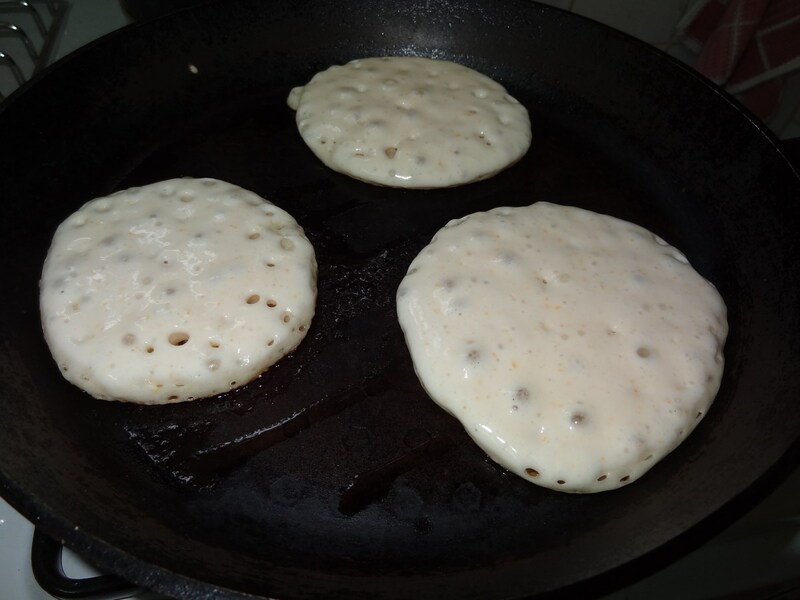 Heat a griddle or heavy skillet and lightly grease. Spoon the batter on the griddle with a few inches in between. Cook until bubbles for on the surface. Turn once, cooking the opposite sides. Serve immediately or keep warm in the oven. 5. Serve with strawberry sauce, mango sauce, maple syrup, apple sauce.